Published by Newt Scamander in 1927. 1922: TongueBurners Ltd is established. 1923: Lorcan McLaird becomes Minister for Magic. 1924: The British Ministry of Magic passes Decree Number 157 of 1924, which established the Educational Decrees. 1925: Hector Fawley is elected Minister for Magic. 1925: Armando Dippet is declared Headmaster of Hogwarts School of Witchcraft and Wizardry. c. 1925: Bob Ogden arrests Marvolo Gaunt and his son Morfin for the latter's hexing of Tom Riddle, Sr.. Marvolo is given a six month sentence in Azkaban for assaulting several Ministry employees, while Morfin is given three years for the aforementioned hexing of Riddle. c. December, 1925: Merope Gaunt and Tom Riddle, Sr. are married. c. 1925-1926: Marvolo Gaunt returns to the Gaunt shack, only to discover that his daughter had eloped with the Muggle man. Marvolo later dies of shock and/or hunger. 1925: The seventy-fifth Wizarding Schools Potions Championship is held. March 1926: Merope Gaunt becomes pregnant with her and Tom Riddle Sr.'s son. 1926: Brothers Bob, Bill, and Barnaby Ollerton start the Cleansweep Broom Company. They release the Cleansweep One as their first product. 1926: Tom Riddle Sr. abandons his pregnant wife Merope Gaunt, who dies in childbirth at the end of the year. December, 1926: Just before Christmas, Merope Gaunt, days away of having her baby and severely destitute, sells Caractacus Burke the priceless Salazar Slytherin's Locket, an old family heirloom. Burke gives her ten Galleons, which Merope happily takes. 31 December, 1926: Merope Gaunt comes staggering up the front steps of Wool's Orphanage, in London. The matron, Mrs Cole, takes her in, and she has her baby in the hour. Merope gives instructions for her son to be named Tom Marvolo Riddle (in honour of his father and his maternal grandfather) and dies. 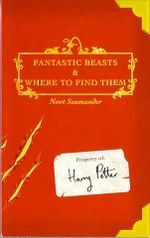 1927: Fantastic Beasts and Where to Find Them, written by Newt Scamander, is first published. 1 September, 1928: Celestina Warbeck starts at Hogwarts School of Witchcraft and Wizardry, and is Sorted into Gryffindor. c.1928: Morfin Gaunt returns to the Gaunt shack from at least his first imprisonment, only to find his father dead and sister abandoned. 1929: Lady Margaret Nurseries is established. 1929: The Comet Trading Company is created by Randolph Keitch and Basil Horton. They release the Comet 140 as their first product. 29 October 1925 - Robert Hardy, who plays Cornelius Fudge in the movies, is born. ↑ 3.0 3.1 Pottermore - New from J.K. Rowling: "Ministers for Magic"
↑ Lord Voldemort, the son of Merope Gaunt and Tom Riddle, Sr. was born on December 31, 1926. Albus Dumbledore stated that Merope and the elder Riddle were married a year before his birth. It is likely that the Gaunt men's arrest took place months before the marriage. ↑ We know that Chamber of Secrets takes place in 1992. Fifty years earlier was 1942. In this year, Hagrid was a third year, and Riddle was two above him, meaning he was a fifth year. 15 years before 1942 was 1927. However, Riddle was born on New Year's Eve, making it 1926. ↑ In Harry Potter and the Philosopher's Stone - Chapter 4 (The Keeper of the Keys), Hagrid says he was expelled in his third year, which we learn in Harry Potter and the Chamber of Secrets, was in 1942. ↑ Pottermore - New from J.K. Rowling: "J.K. Rowling on Scottish Rugby"
This page was last edited on 26 July 2015, at 13:41. This text is available under the GNU FDL and may have been adapted from the Wikipedia article about 1920s (history).